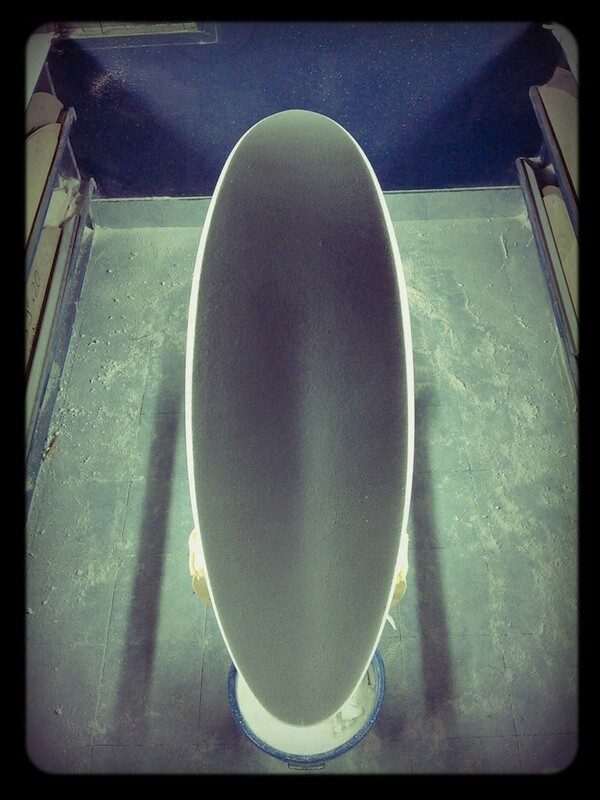 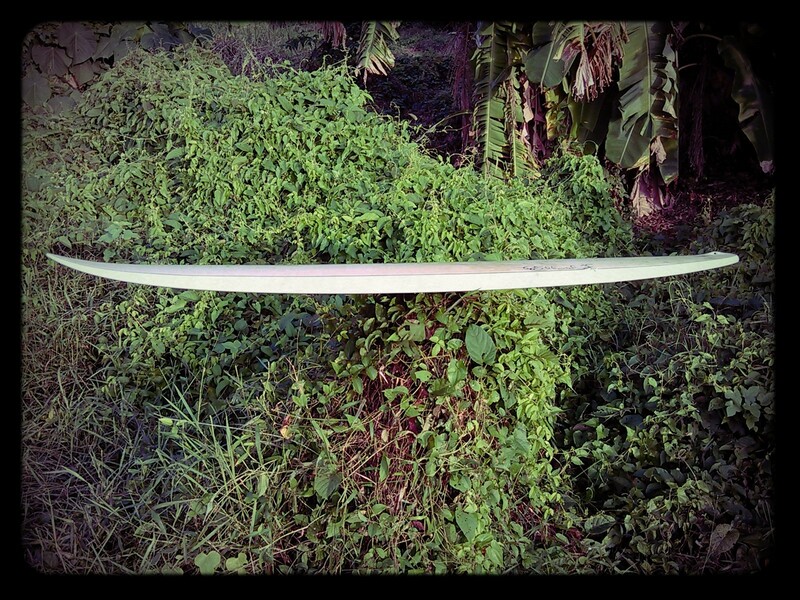 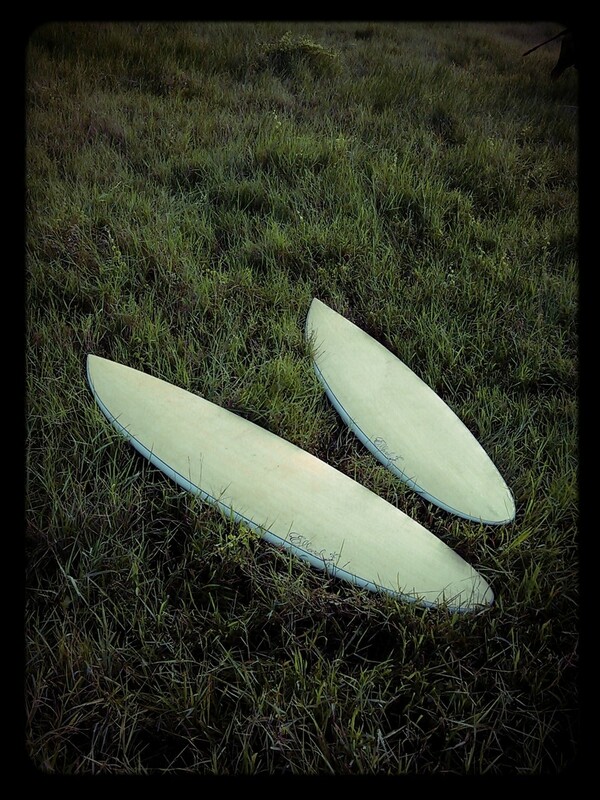 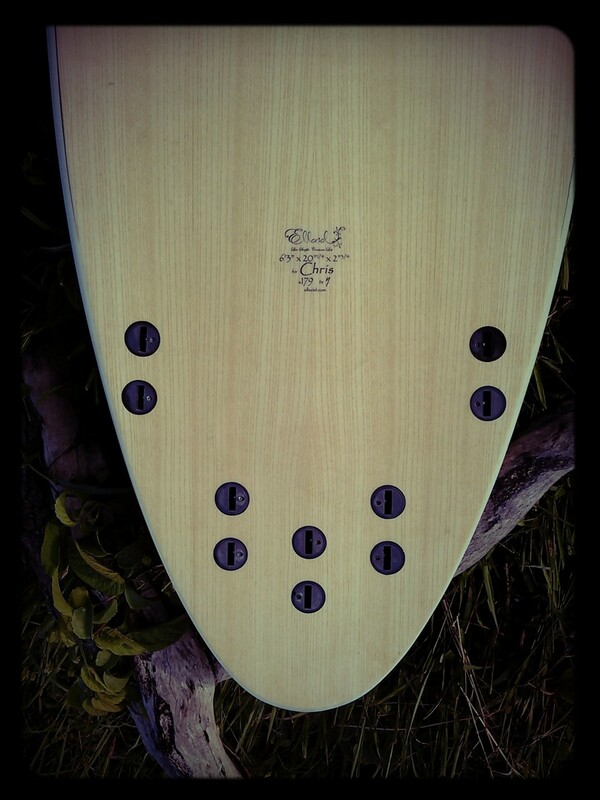 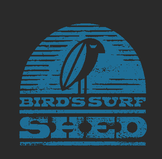 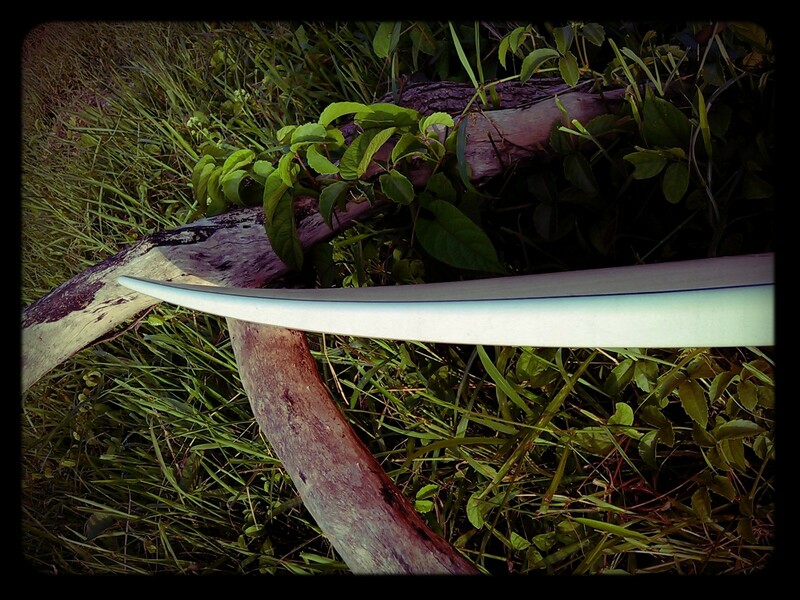 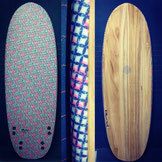 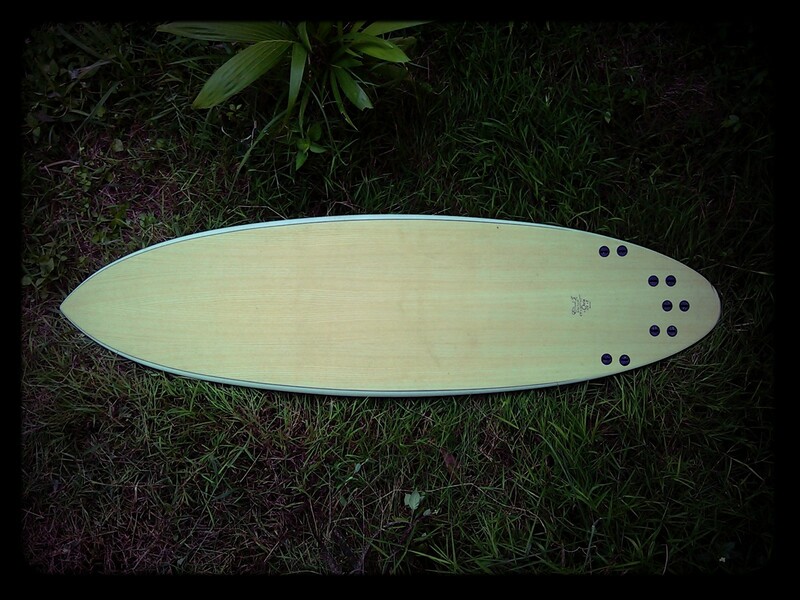 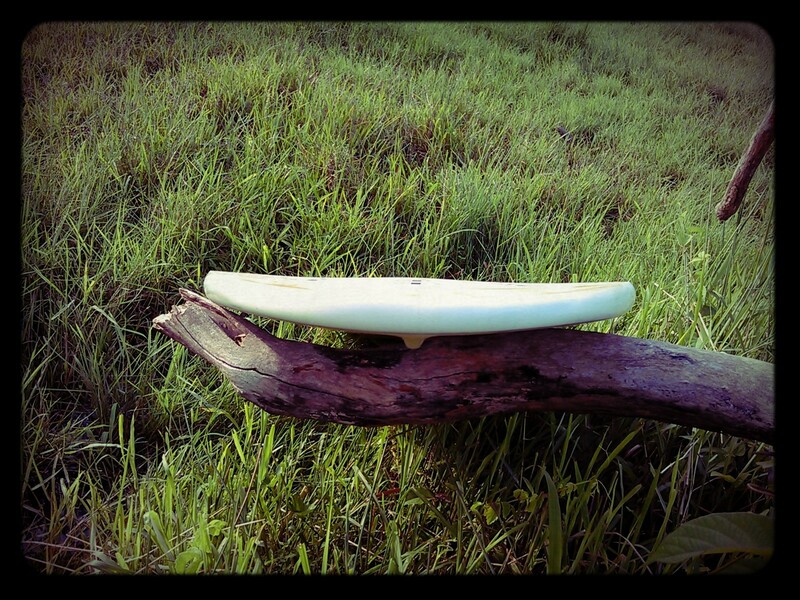 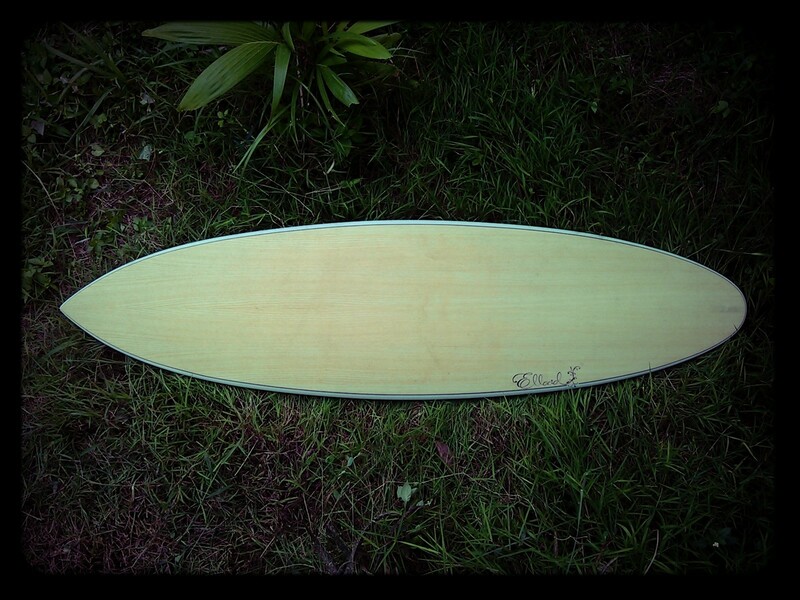 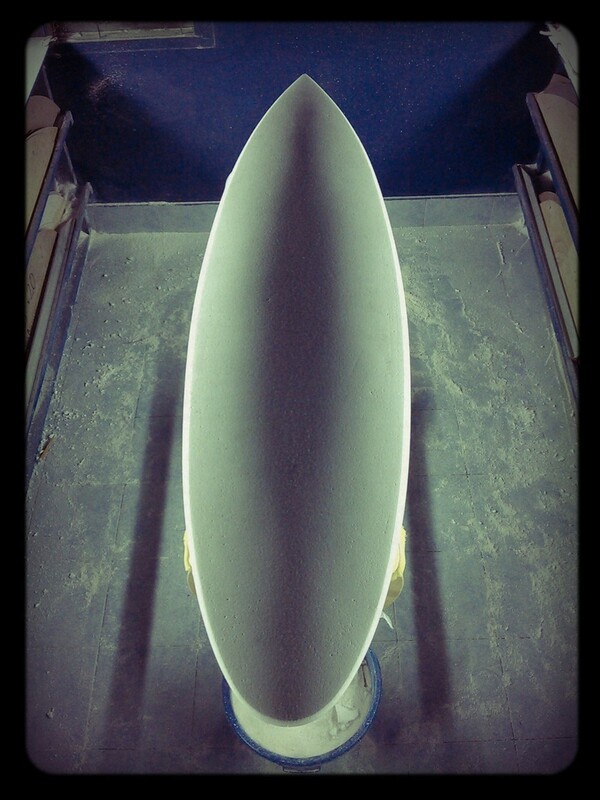 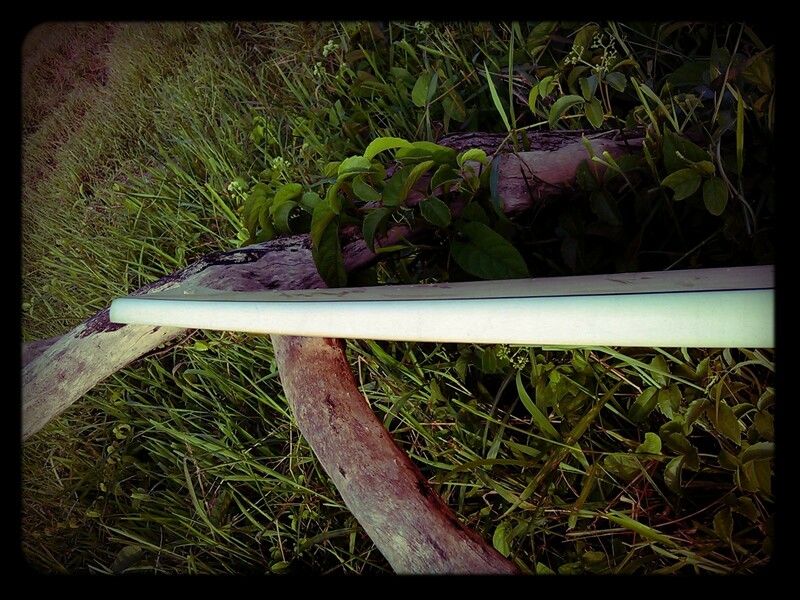 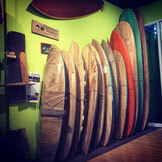 Single to double concave, round pin tail with five fins setup. 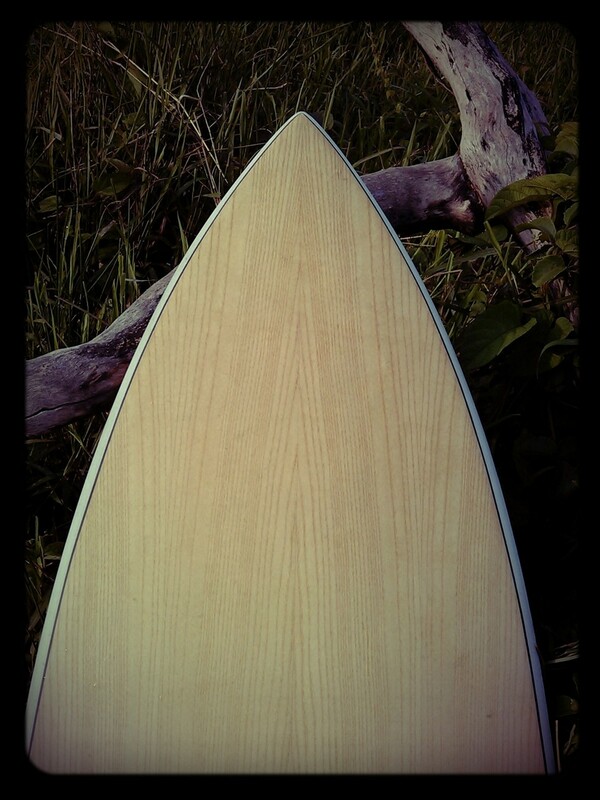 White ash wood, white rails and black pin lines for a sober finish. 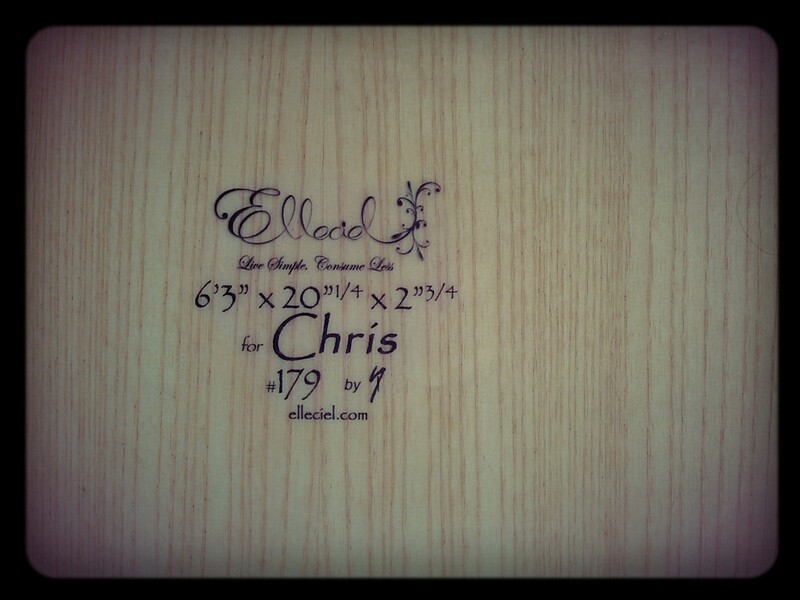 Little sister of #180 both made for Chris.